The addition of ABB Measurement Products to our portfolio this year has already produced several pleasant surprises, not the least of which was the recent discovery that the person we hired to serve the important Sarnia market, in addition to being a well-respected authority on instrumentation and control solutions, is also a local Country music celebrity. 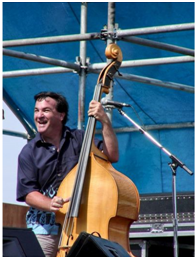 It turns out that our very own Dave Scarlett plays bass for Scott Manery and The Barnburners, a band formed in 2005 now working on their third CD. 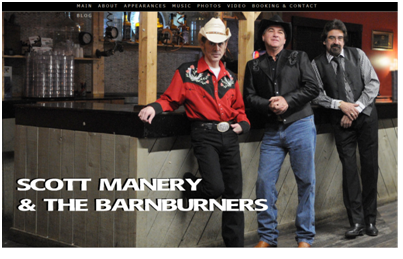 Scott Manery and The Barnburners have developed a strong following in South Western Ontario and Michigan. With two CD's under their belts already, the band features all original material. One of the best opening acts in Ontario, the band has worked with a long list of top artists including Brooks & Dunn, Toby Keith, Rascal Flatts, Keith Urban, Lady Antebellum, Lee Brice, Josh Thompson, Jason Blaine, Amanda Wilkinson, The Roadhammers, Aaron Lines, The Good Brothers and George Canyon. Dave has been active in the Sarnia instrumentation market since 1985 and adds a wealth of experience and expertise to our team. He has been with the band since 2005. When we approached Dave, we knew that he was the right guy at the right time for what we needed to do in chemical valley. Little did we know that Dave was also a talented musician and somewhat of a local legend.